YouTube already frowns on challenges and pranks that put people at risk, but it's making that policy more explicit in light of the recent rise of Bird Box-inspired dares. The service has updated its guidelines to directly ban all challenges and pranks that are dangerous or harmful, including activities that cause "severe emotional distress" for kids or make any target think they're in "serious physical danger." There will be a two-month grace period where YouTube won't apply a strike against channels that violate the policy, although it'll still remove any offending videos posted before or during that period. 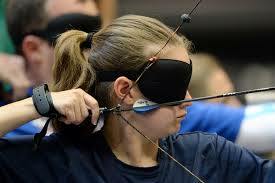 The tougher rules come just a few days after a teenager crashed a car while attempting the Bird Box challenge, which has people trying to navigate blindfolded like characters in Netflix's movie of the same name. However, it really reflects the culmination of ongoing issues with challenges and pranks. YouTube had to pull Tide Pod challenge videos in early 2018, while parents lost custody of kids in 2017 after performing a string of apparently cruel pranks. They claimed the pranks were fake and that the children were in on the gag, but that wouldn't necessarily fly regardless -- YouTube is concerned as much about what it looks like as what's actually happening. On top of this update, YouTube is now threatening strikes against channels that "egregiously" violate policies with their videos' thumbnail images or web links, even if the videos themselves are innocuous. Users who rack up multiple strikes will lose their access to custom thumbnails, and those who get three strikes in 90 days will lose their accounts altogether. The two-month grace period applies to these changes as well. The message is clear, at any rate: YouTube doesn't want creators to abuse the system by piggybacking clearly objectionable material on top of otherwise safe clips. Update: YouTube tells Engadget this wasn't in response to a specific challenge, and has been in the works for months. We've also learned that the Bird Box challenge isn't explicitly banned by itself, and some videos will remain. Rather, the company is mainly concerned with videos that show children either hurt or in dangerous situations. If a video doesn't go too far but might not be suitable for kids, YouTube will apply age restrictions.